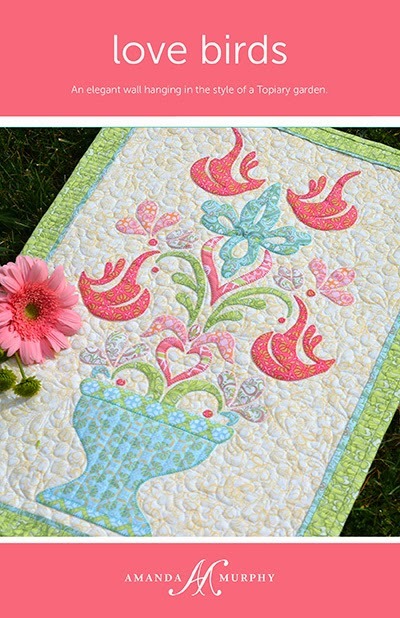 Amanda Murphy Design: Love Birds and Forever are shipping! I'm excited to announce that Love Birds and Forever are shipping! I've spent the last fews days folding assembly diagrams and packaging them so that they are all ready to go. These are relatively small patterns that you can whip up in a weekend - I used my Topiary line for Blend Fabrics and Aurifil thread! 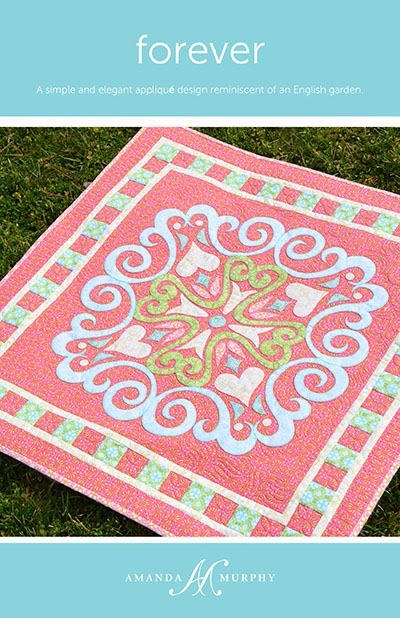 You can ask your local quilt shop to order them - the rep samples for major distributors also went out this week. If you can't find them at your local site you can order Love Birds and Forever on my shopping site. I'll be adding SVG files you can use on cutting machines to order separately in the future - hopefully soon! I just ordered both of them! I'm very excited! Both are gorgeous patterns!!!! Love the designs and the fabrics in them!